In the days before the Internet, I pulled a few short stints in the offices of a couple of U.S. senators. A couple of times as an "intern," one time as a "Congressional fellow." In such capacities, not only did I get opportunities to open the daily mail and prepare internal media summaries, I regularly answered letters from constituents. I even learned to use the machine that signed the senator's name—before some idiot co-worker started writing and signing his own job references. Through those experiences, I learned that a letter "written by a senator" on behalf of a constituent was often like applying the Penetrating Oil of Helpfulness to the Stuck Machine Bolt of Bureaucracy. I helped get retirees their Social Security checks, veterans their missing medals, and school kids their answers to social studies tests. Small and concrete victories. Democracy in action. Your tax dollar at work. I have a sent a letter to AGENCY Y regarding this matter. I will contact you again when I receive a response. In the meantime, please do not hesitate to let me or my staff know if I may be of additional assistance. Keep in touch! Later, after I'd joined the Army, I was on the receiving end of a few of these Congressional inquiries. Troops would write their representatives about pay concerns, food quality, or other matters. No matter how seemingly silly some of the questions were, the military put an emphasis on quickly investigating and responding to each query. Whether because of the legislative power of the purse or the War Powers Act, when Congress calls, soldiers listen. On Capitol Hill, constituent letters also factored into senators' legislative calculations. So-called "legislative correspondents," specialized research staffers who kept up-to-date on where their senators stood on matters of policies and politics, were more likely to respond to such letters. The whole office would see the weekly contact summaries, however—that was our feel for the pulse of opinions back home. Usually, responses to individual constituents were kept non-committal. A letter about a hot-button issue like gun control, for example, would likely receive a boilerplate response, blandly marking out the senator's current positions. The response to a "pro" letter would often be very similar to the one for a "con" letter. In one senator's office, we called such letters "robo-letters." I preferred the more-punny term "Frankenmail," a nod to Congressional members' power to send official mail without paying postage. Staffers would tally letters and telephone calls they the senator's office had received on given topics. Letters from constituents mattered more than letters from out of state. It didn't matter whether a constituent identified themselves as Republican, Democrat, or Independent: A constituent was a constituent. We were all in this together. We called it "representative democracy." Letters that were obviously written by individuals, citing specific examples and requesting specific actions, were valued more than fill-in-the-blank form-letters. The latter were considered more as evidence of Astroturf by special interests than actual grassroots support. Bottom line: Constituent contacts were like straw polls. People who write letters are people who are motivated to vote. A senator might not vote your way every time, the thinking went, but he or she was bound to listen. 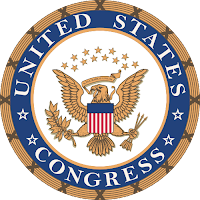 Despite the gridlock and partisan gameplay that generate so much of today's headlines, I'd like to think that Congress, fundamentally, still operates that way. Our legislative branch has to listen, right? If it doesn't, what values are we fighting for? I was recently inspired to dust-off my letter-writing skills (developed at taxpayer expense!) regarding the plight of Iraqi and Afghan interpreters who are seeking to immigrate to the United States. These are men and women who have risked their families and their futures to help U.S. forces. Troops call them "terps" for short. I've posted my letter below, as an example. I am sending similar letters to other U.S. senators and representatives—and note that many Iowa and Minnesota members ("Red Bull" country) of Congress are involved in immigration policy. Check out who's on the senate House Judiciary Subcommittee on Immigration Policy and Border Security, for example, or the Senate Judiciary Subcommittee on Immigration, Refugees, and Border Security. 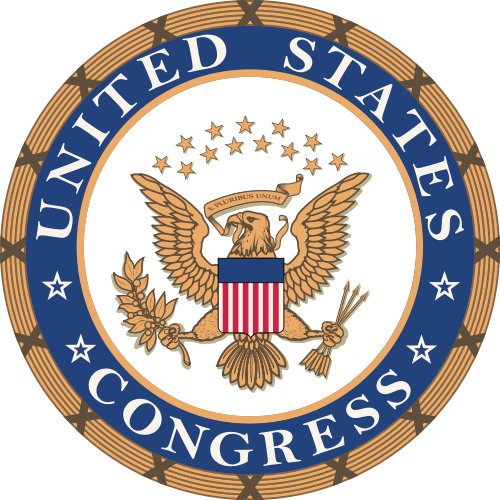 I hope that you might be similarly motivated to voice your own opinions to Congress, whether about this or other topics. For more how-to-write-Congress tips, click here. There's also a list of Congressional e-mail and contact info here and here. I am retired Iowa Army National Guard soldier who deployed under Operation Enduring Freedom orders in 2003. In 2011, I also traveled to Afghanistan as civilian media, during the largest deployment of Iowa National Guard soldiers since World War II. 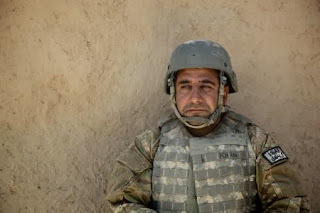 I am writing to you regarding the need to eliminate bureaucratic obstacles to granting special visas to Iraqi and Afghan interpreters who have fought alongside U.S. soldiers, and who have placed themselves and their families at great risk on our behalf. It is my understanding that an extension of the Refugee Crisis in Iraq Act of 2007 and Afghan Allies Protection Act of 2009 was referred to the Senate Judiciary Committee in May 2013. Without extension, these programs will soon expire. In your response to this correspondence, I would appreciate an update regarding the status of this and other efforts to deliver upon America's promise to our allies. According to recent news reports, including those in the Washington Post and National Public Radio, the U.S. State Department has failed to effectively or efficiently implement the special immigrant visa program authorized by Congress. According to the above-cited news reports, as of late 2012, only 32 visas had been issued. As of June 2013, only 1,120 visas of the 8,750 authorized had been issued. I am not going to suggest that all interpreters are saints. To be honest, some seemed suspect in their actions, attitudes, and interactions with U.S. soldiers. Others, however, were shining examples of Afghan bravery and American ideals. All are worthy of consideration, and safety after we leave Afghanistan. We owe them that. Please help our citizen-soldiers—past, present, and future—deliver on our country's promises. Thank you for your attention. Keep in touch! UPDATE, Sept. 29, 2013: Check out this great article from the Des Moines Register's Tony Leys, regarding how some 2nd Brigade Combat Team (B.C.T. ), 34th Infantry "Red Bull" Division soldiers, the office of U.S. Sen. Tom Harkin (D-Iowa), and Cathloic Charities of Des Moines have helped an Afghan interpreter and his family immigrate to Iowa. Good article, Charlie. I worked with some great interpreters in both Iraq and Afghanistan. They did, as you said, put their lives on the line for us. Some of them had already been personally attacked, one had been seriously injured at his home, and another was kidnapped and held for 3 months. These guys earned their visas. I'm using your letter as a starting point for my own letters to my senators and (useless) congressman. Thanks for posting.